Faly began to play soccer at an early age at Evian Thonon Gaillard FC. At 10, he was selected to be a full time player at Strasbourg FC Training Center. Two years later, he was selected to play for the U17 French National Team and played his first professional game with Strasbourg FC. After recovering from a significant knee injury, Faly travelled throughout Europe in Germany, Switzerland and England. Unfortunately, after being selected to commence training with Crystal Palace, Faly faced yet another injury and this marked the end of his professional career. Faly began his coaching career soon after and this has been his passion ever since his playing days. 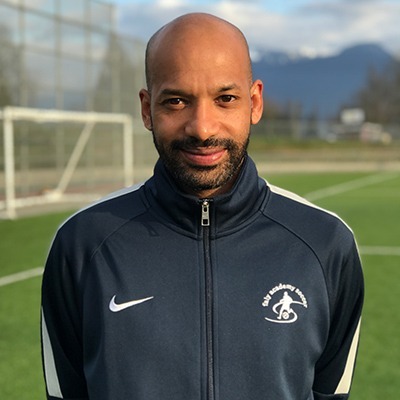 For 3 years, he was a coach for the Duet Academy in London and then he moved to Vancouver in 2008, to start his own academy. At the age of 7, Ange Bourangon started playing Soccer at the US Annemasse, France. He continued his training at Evian Thonon Gaillard FC (2nd division) and then, from U13 to U17 played at the Honor League level in France. At 20, he was given the chance to play a few games with their semi-professional team and then went to play in Switzerland (FC Cologny, 6 months and Puplinge FC, 2 years) in the 2nd league, International. In 2006, before moving to Canada to join Faly Academy, he coached and trained in England for 2 years at the Sporting Duet Academy. Ange is heavily involved in the player development for the Travel and Elite team program. His deep understanding of the game is transferred to Elite players and he pushes them to new levels. Ange has set a high bar and is determined to help each child achieve their goals. Ange attended the University de Savoie, Annecy and the University of Pierre Mendes, France. Rem began playing at early age at Evian Thonon Gaillard FC and continued until he was 15. Since then, he has coached young players at many local clubs in Europe (France, Switzerland and England). In 2008, he moved to Vancouver and has been involved in the development of operations for the academy. Rem is involved in many aspects of the Academy: Facility and Game Schedule, Academy League, Training Programs, and the Elite Team Programs. Rem believes in his players and his true desire is to see success for all of them. He supports each family, listens to their needs and implements solutions and strategies for their son’s success and the future success of the academy. 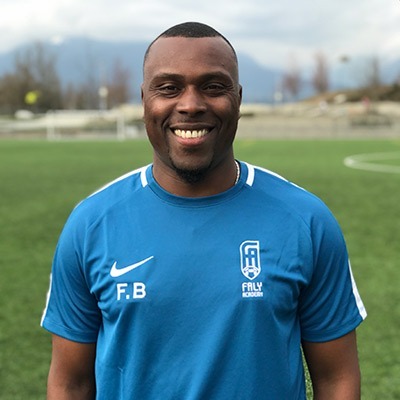 Ibrahima Basse started playing football at an early age at the Evian Thonon Gaillard FC in the French second league as a striker for his entire youth career. At 18, he was scouted and trained at FC Servette (Geneva,Switzerland). 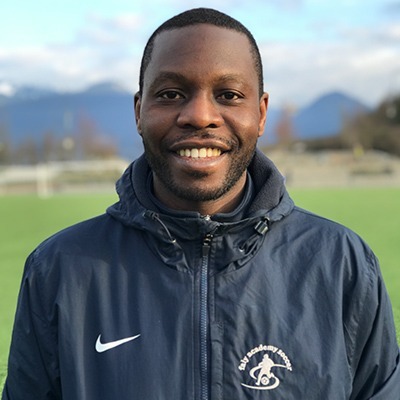 At 22, he began coaching in London with his older brother, Faly Basse, and then, moved to Vancouver and joined Faly Academy in 2014. Ibou devotes the majority of his coaching and leadership to our youngest players. He is passionate about ensuring that solid technical skills are established at a young age. He is also the assistant coach for our Elite U15 team. Valentin started playing at the age of 4. He had a successful soccer career playing professionally and semi professionally as a goalkeeper in France and the Czech Republic. Valentin attended University and played for his Varsity team from 2011–2012 having the leadership role as Captain for 2012. His team was the two-time champion at the Francois Rabelais University of Tours which is considered the highest level of competition for French universities. 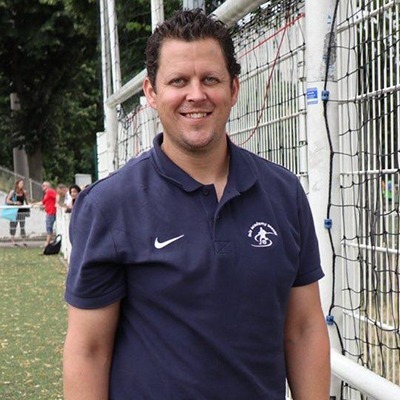 He is a certified goalkeeper coach by the French Football Federation in 2015. Valentin has his MBA from IAE Tours Management School, University of François Rabelais in France. He also successfully completed his Masters Degree in Human Sciences and International Relations from the University of Charles, Prague, Czech Republic. 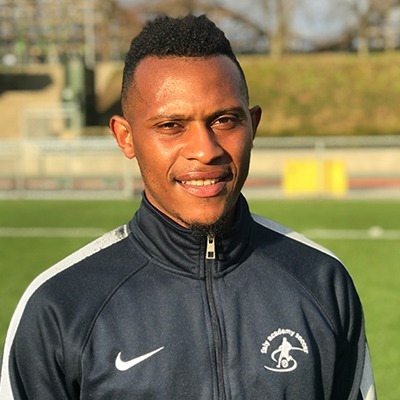 He has furthered his post secondary education to include a diploma in Mental Coaching, Leadership and Team Management from the University of Bourgogne of Dijon, France. Kais started playing soccer at the age of 7. At the age of 13, he signed for the U13 of “Sfax Railway Sport”, one of the best players’ development clubs in Tunisia. He played as an attacking midfielder. After leaving the semi-professional youth team at the age of 20, he dedicated his life to coaching and attending University. In September 2014, he joined Faly Academy a few months after his arrival to Canada and became an assistant coach. Inan is a holder of Learn to Train, Soccer for Life, Provincial C and Provincial B Licenses. In addition to Inan’s passion for coaching, Inan is a Canadian Soccer Association (CSA) approved provincial referee. He has attended various national tournaments both for adults and youth. He also officiated in Provincial Cup finals numerous times. He is also awarded with BC Soccer Premier League Referee of the Year for 2017. 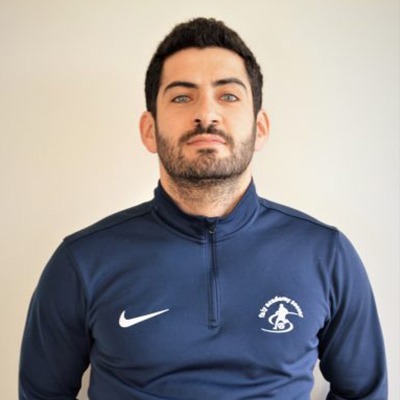 Inan has been part of Faly Academy since 2017 and is the head coach of U13 Elite Team. Matthew managed and tracked the health and mental well being of approximately 80 players during our summer 2017 European trip. Matthew is the owner of Active Solutions Medicine in Vancouver, BC and founder and President of Bennett’s Choice. He has been an active in Sports Therapy for many professional teams: Toronto FC Academy, Ottawa Senators Hockey Club and Toronto Argos Football Club. He attained BaHSC (Athletic Therapy 2007) from the Sheridan Institute and his ND in Naturopathic Medicine from the Canadian College of Naturopathic Medicine (2014). He also has a Dip. Ap in Contemporary Medical Acupuncture from McMaster University (2007). 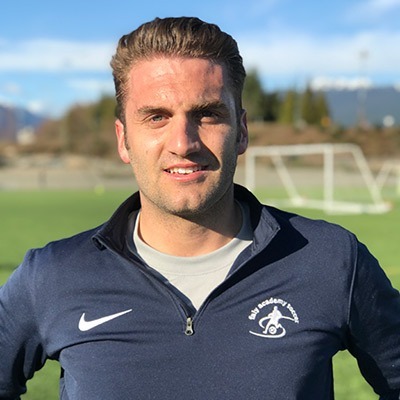 The Academy is excited to announce the formal involvement and collaboration with Sean Campbell, owner and founder of Cypress Physiotherapy & Health. Sean is a physical therapist, educator and Athletic Performance and Rehabilitation Consultant. He has been involved in elite sport for more than 25 years. His competitive career highlights included the Sydney 2000 Olympic Games, a Pan American Games gold medal and eight National Championships in field hockey.